“Mom, I’m bored!” These are dreaded words for sure! Having 5 active kids means that, at least one in the bunch, is looking for something to do at any given time. I like to keep fresh ideas and activities handy for them and they now know not to come to me when they are bored. Instead, they can reach for fun games and activities that I have for them. Games are a great way to spend some quality time together with my kids and I am always glad to join them. 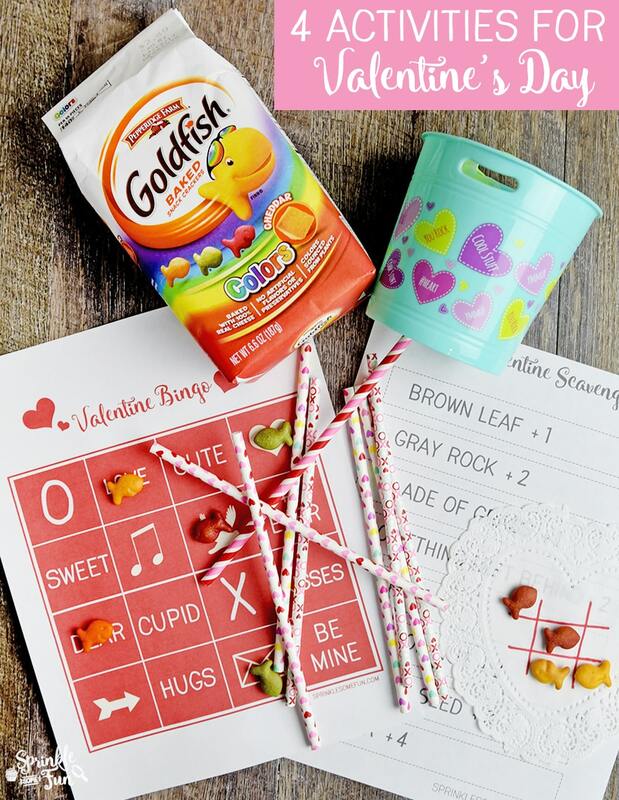 These 4 Fun Valentine Games & Printables are perfect to have on hand during the Valentine season. Chances are that you have most of the supplies lying around too! I’ve also included some free printables for the Valentine’s Bingo and Valentine’s Scavenger Hunt. First up is Valentine Bingo! 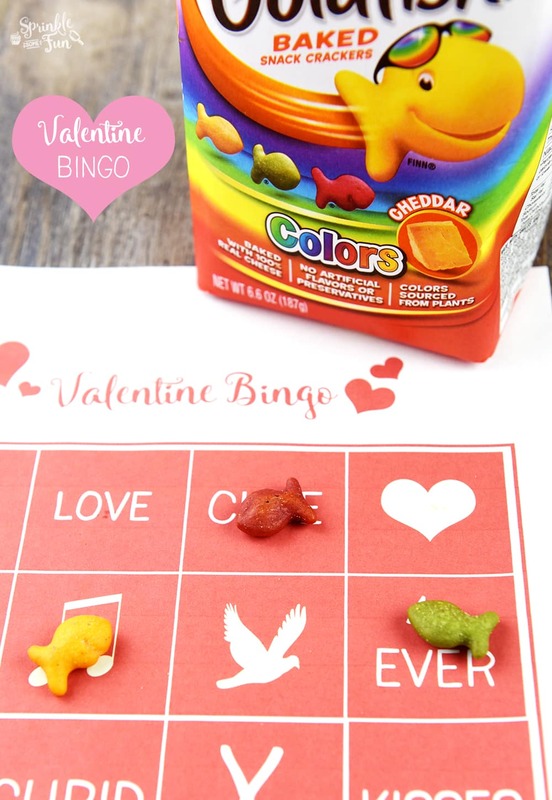 My kids love Bingo and this makes it fun for Valentine’s Day. I thought it was cute that they used their favorite Goldfish Colors Cheddar crackers for the game pieces. A tasty and fun way to play the game. 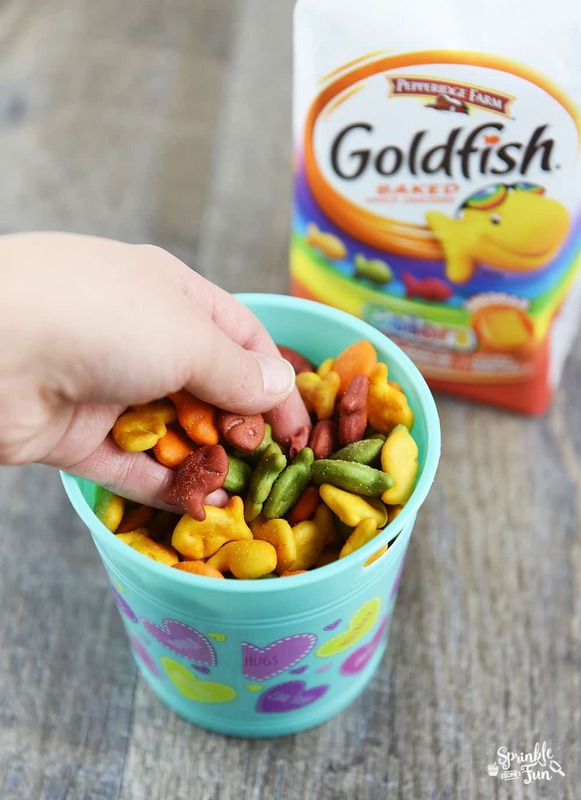 Speaking of fun things to do with Goldfish Crackers… check out this Goldfish Tales Animation Contest that Goldfish Crackers has going on now! Go here for the 4 free Valentine Bingo Card printables! Do you have any straws lying around? 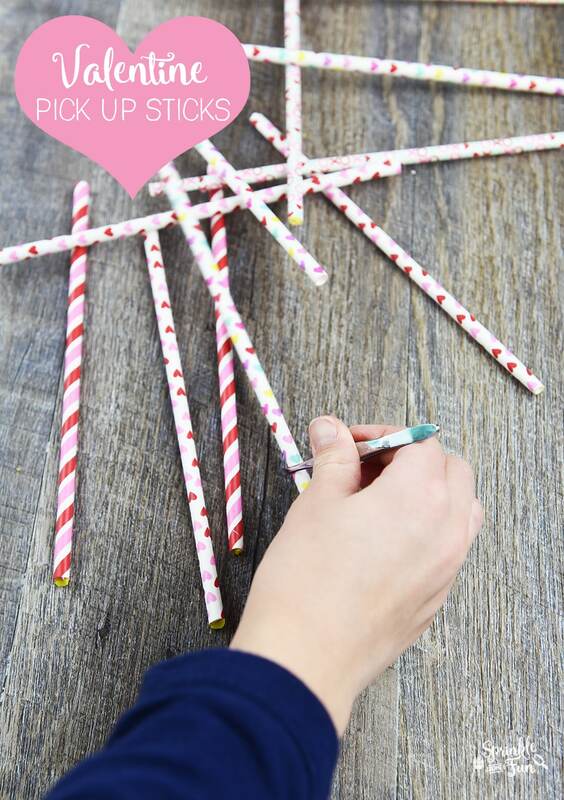 How about some cute Valentine straws? Play an easy game of Valentine pick-up sticks with them! We bent the ends slightly so they wouldn’t roll around as much and they were perfect. This is a great learning game as well. 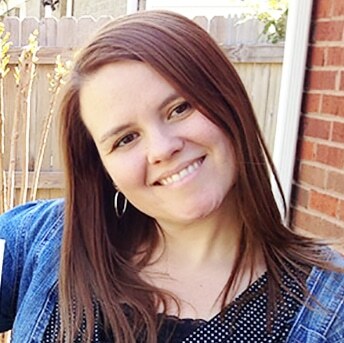 My kids love to play a fun game of Valentine Scavenger Hunt. I tried to pick out things they could find in the wintertime. Each item has a point value and the flower is the most valuable! 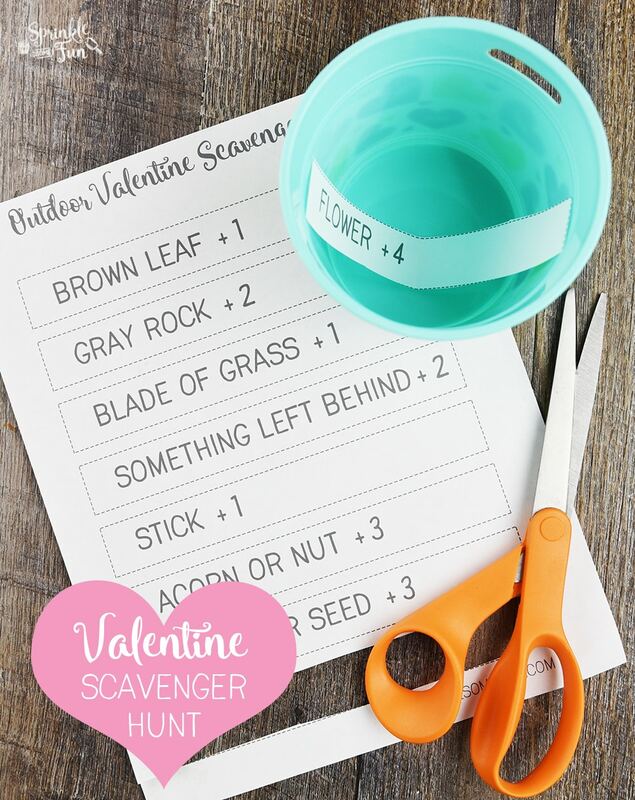 Just cut up the items on this free printable Valentine Outdoor Scavenger Hunt and place them in a bucket. The person officiating the game will draw out the items one by one and each player has 2 minutes to find whatever is on the strip of paper. The player with the most points wins. This game is so fun! I can always find cute paper doilies around Valentine’s Day and I love using them for various projects. The kids like to use them for a game of Tic Tac Toe. Just draw your grid with a marker or pencil and then use Goldfish Colors Crackers if you want to play over and over. 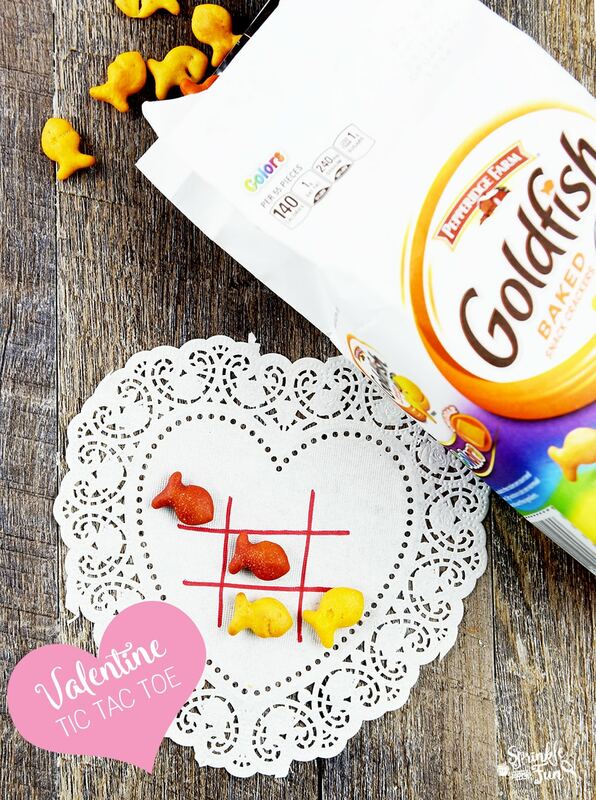 Let each kid pick a color of Goldfish Colors Cracker instead of x’s and o’s. How do you foster smile worth moments with your kids? Do your kids love Goldfish Crackers as much as mine? It’s always great to keep them around for a snack I can feel good about. They are made with real cheddar and there are no artificial dyes or colors! Be sure to check out the Goldfish Tales animation contest going on. Create a stop-motion film with your kids featuring Goldfish crackers and you could win $5,000!